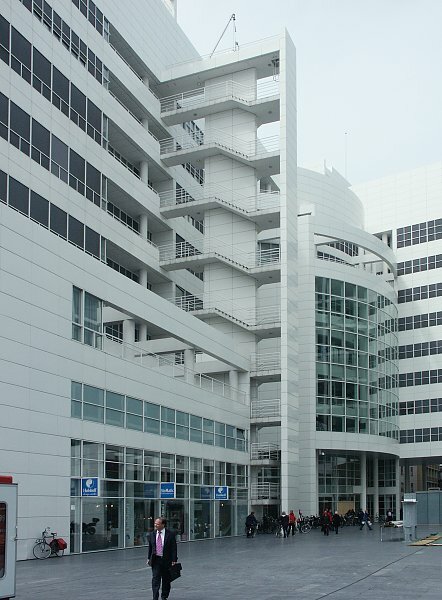 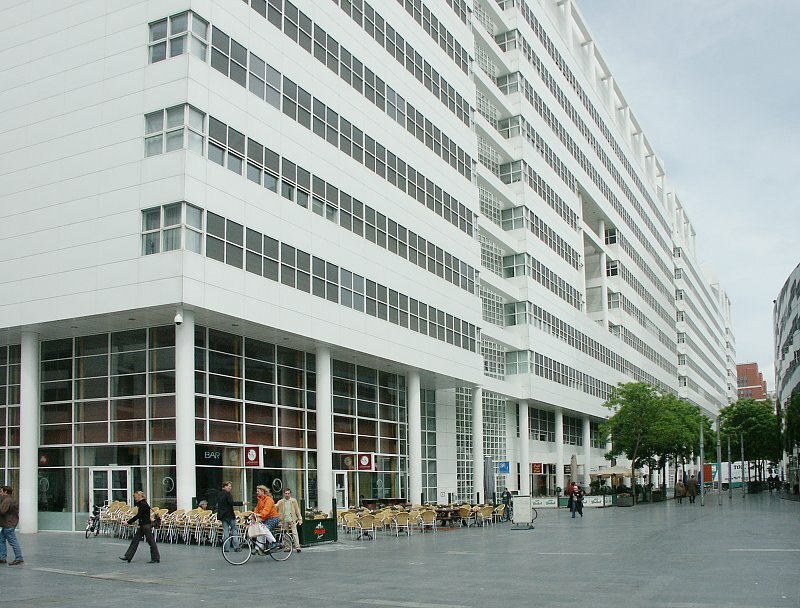 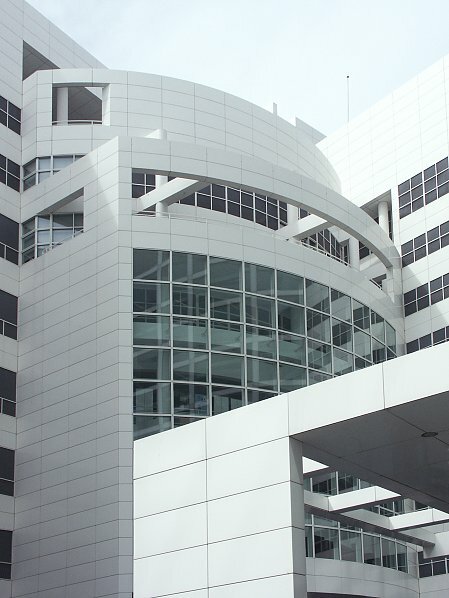 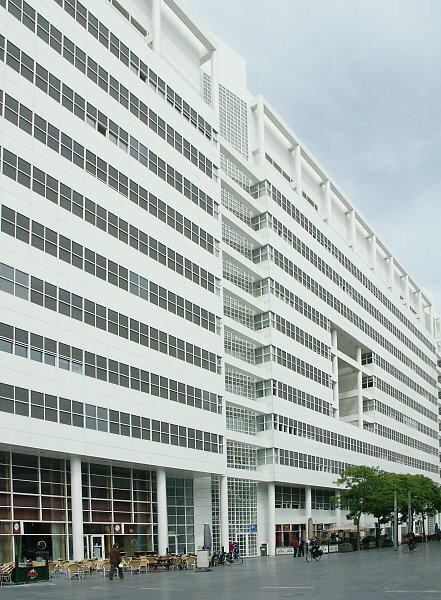 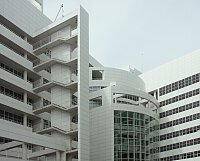 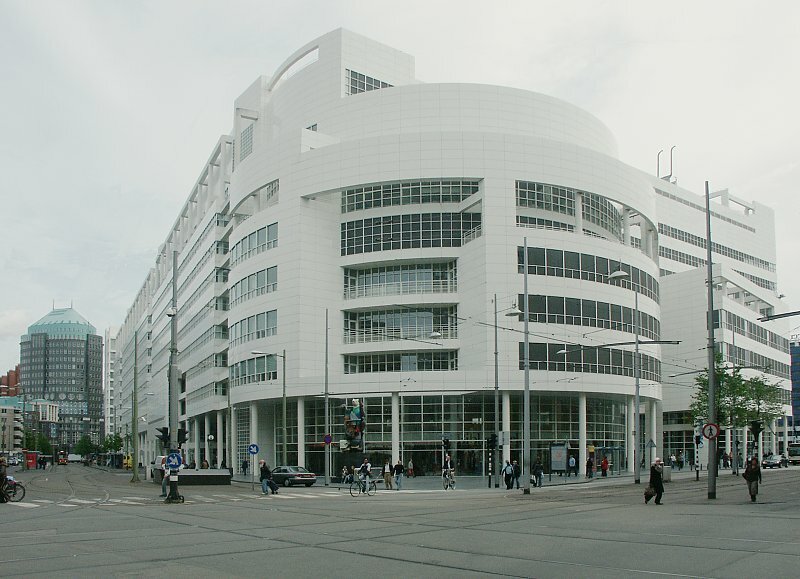 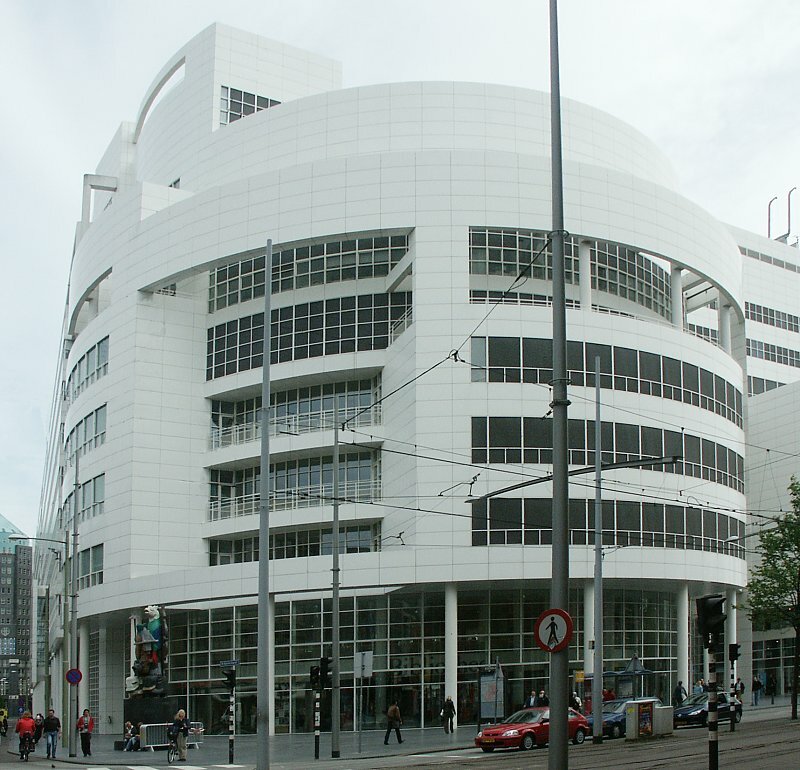 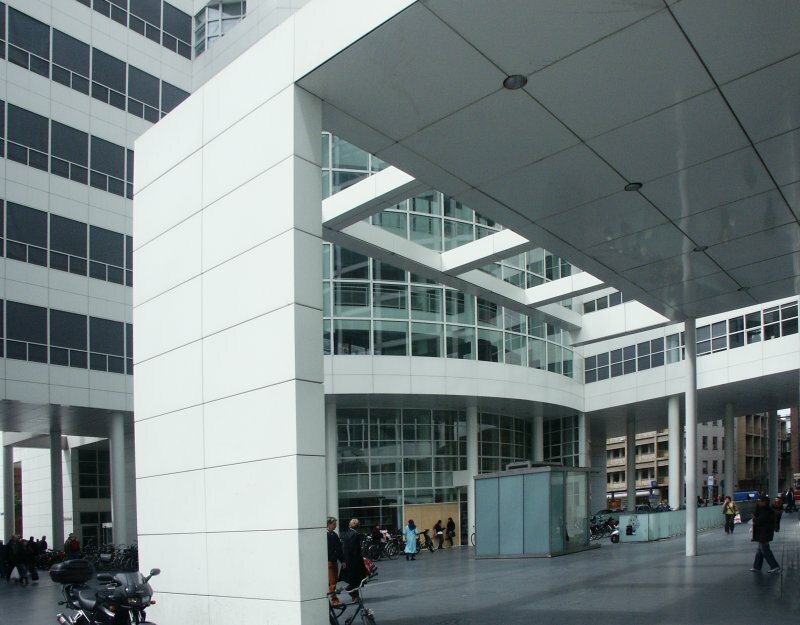 This 13-floor building, clad in white porcelain-enamelled metal panels (the color is Meier's signature), is the civic heart of the refurbished city center. 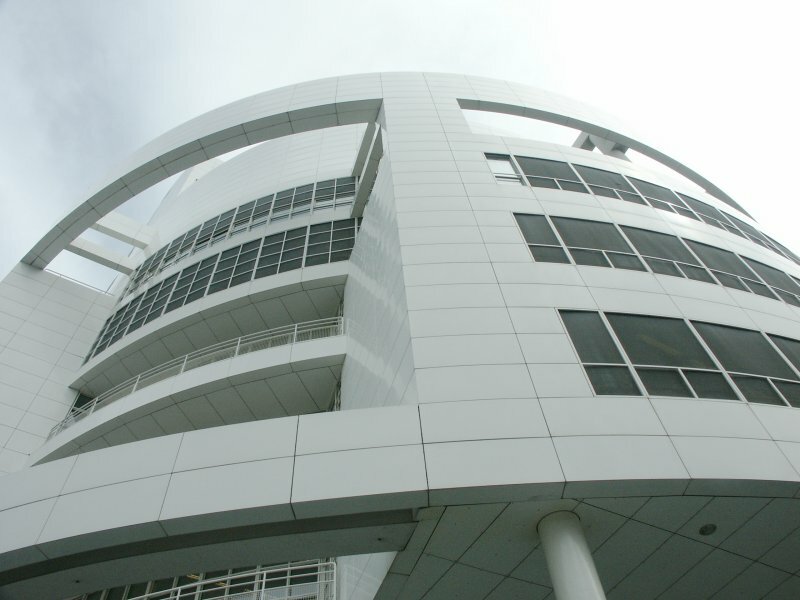 The structure is built on a wedge-shaped site at a length of about 800 feet. 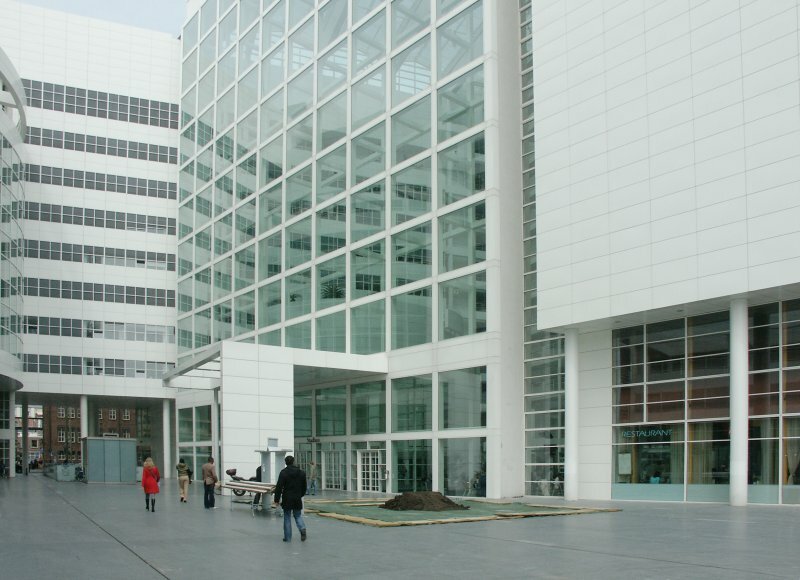 It includes local civic offices, a council chamber, a city wedding room, a central public library and a some shopping spaces on the first floor. 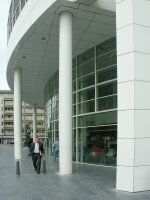 The central library has its own entrance and is located at the extreme northwestern corner. 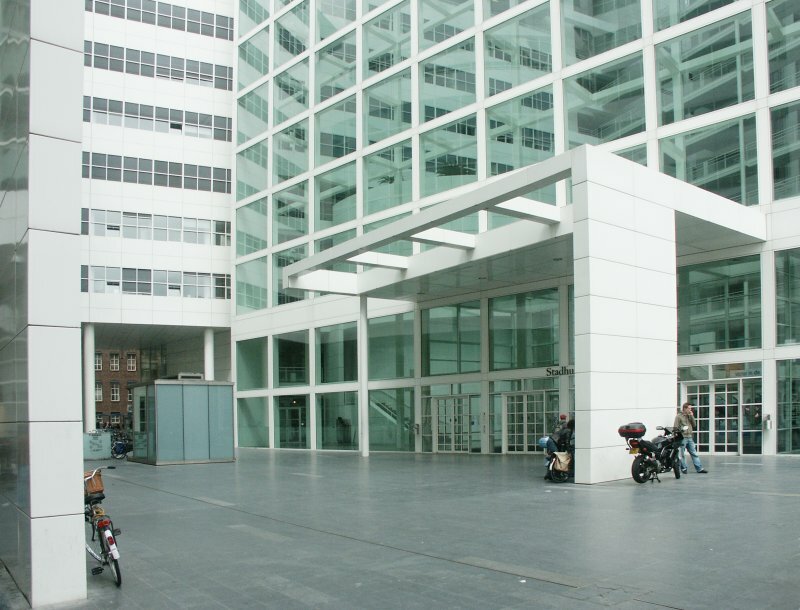 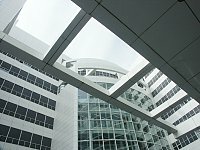 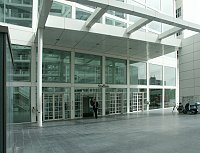 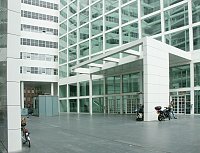 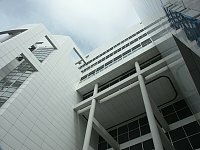 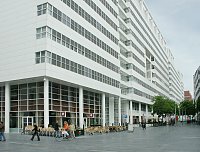 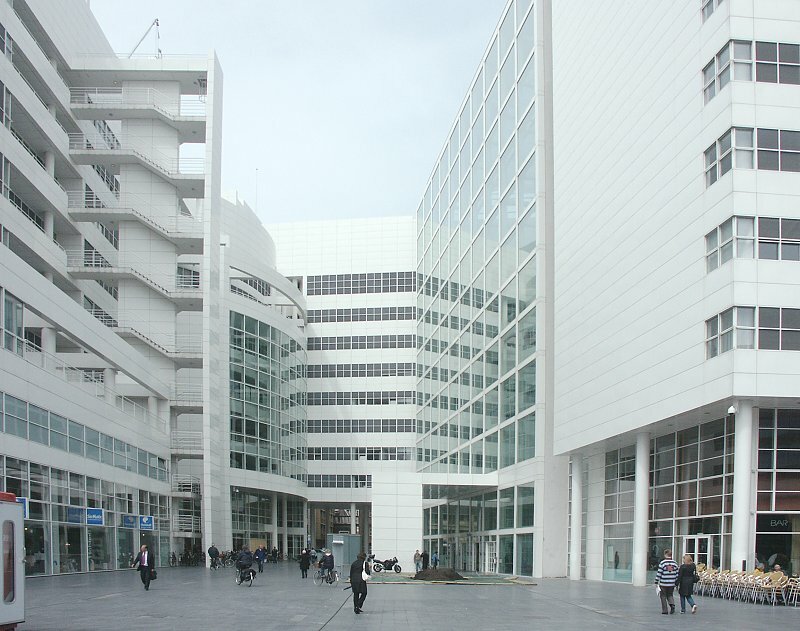 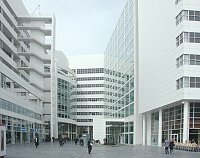 See other post-modern buildings in The Hague: Pelli's Zurichtoren, Rob Krier's Muzentoren, Graves' Castalia, and Kohn Pedersen Fox's Hoftoren. 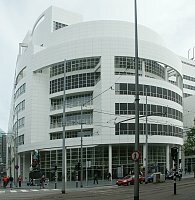 Go to the Meier Index..